We had the pleasure of attending Denver’s first Cannabis and Epilepsy Symposium at the McNichol’s Civic Center. With a diverse panel of neurologists, pharmacists, professors, and the city and state’s assistant attorney generals, the event’s speakers provided a well-rounded take on how cannabis is shaping the future of epilepsy treatment. The U.S. Food and Drug Administration (FDA) recently approved its first cannabis-derived drug and with it raises curiosity of the future of cannabis research. The keynote speaker, Dr. Nolan Kane, from the Cannabis Genomics Research Initiative at the University of Colorado, spoke about cannabis genetics and medically relevant chemistry. His vast research pointed to the likelihood of up to seven different species among the cannabis plant, not just the commonly known sativa, indica, and hemp species. His most fascinating data was the contrast of the nation’s cannabis industry’s flower to the flower used for government medical research. The National Institute on Drug Abuse (NIDA) runs the only cannabis farm used for federal government clinical research since 1968, located at the University of Mississippi. The government cannabis is unlike what state cannabis industries produce. While the THC content is significantly lower around 8% and as low as 2%, there are drastically lower levels of terpenes and other cannabinoids, with the exception of CBN which tests much higher than the cannabis available in legal state dispensaries. Since most CBN is produced from the degradation of THC, this high level could signify older cannabis. Contaminated levels of yeast, mold, and other pathogens were also confirmed by numerous independent laboratories in pursuit of cannabis research. The Mississippi stash is the sole source for researchers to conduct FDA-approved tests for medical purposes. With a goal to increase the sources of federally licensed cannabis, the Drug Enforcement Administration (DEA) began accepting applications in August 2016. So far, none have been approved but as FDA-approved cannabis research expands, the cannabis-for-research supply will need to as well. A British biopharmaceutical company, GW Pharmaceuticals, is leading the way with its second cannabis drug approval. The first was Sativex, an oral mucosal spray to treat spasticity in multiple sclerosis patients, which contains THC and CBD. It was the first cannabis medication to get market approval in any country and can be prescribed in the UK, EU, New Zealand, Canada, and Israel. It is not approved in the United States. 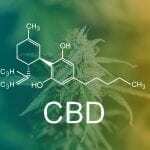 Their latest approval, Epidiolex cannabidiol (CBD) oral solution, treats seizures in two rare and severe forms of epilepsy in patients the age of two and older. A total of four clinical trials with 550 patients were conducted in Europe and the United States. All cannabis grown for Epidiolex is grown in the United Kingdom. Although the Epidiolex approval serves as tremendous advancement for cannabis in the U.S. pharmaceutical industry, the medical cannabis research sponsored by NIDA is simply unreliable given their low-quality cannabis. Cannabis research for PTSD, Parkinson’s disease, Alzheimer’s, and cancer, requires better cultivated cannabis that is comparable with the legal state cannabis available. All Lucky Turtle products are meticulously extracted by our team that has over 35 years experience in biotechnology processes delivering therapeutics. We choose the highest quality cannabis possible by local cultivators that use organic and sustainable protocols to preserve terpenes (learn about TrueTerps here) and cannabinoids for a truly superior cannabis experience you can trust. Learn more about potential CBD benefits here and stay tuned for our High CBD Live Better Series coming next month!